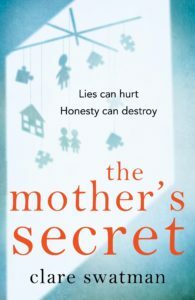 I’m Clare Swatman and I’m the author of two novels; BEFORE YOU GO which was released in February 2017, and THE MOTHER’S SECRET which was released on 22 February 2018. I’m currently working on my third novel. This website is to tell you more about my books and anything else going on, so please watch this space for updates about signings and readings – or follow me on Twitter, or my author page on Facebook for more regular updates!